The question everyone asks is, “Can I really manage my social media in just thirty minutes a day?” My answer is yes, you can. 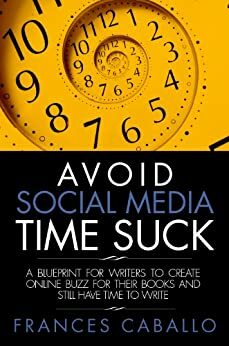 This book explains the four-step process to effective and efficient social media marketing for writers. What and how to schedule your tweets, posts, updates and shares. The importance of scheduling time to be social. Social media is no longer an option for writers – it is a required element of every author’s marketing platform. And using social media to market your books doesn’t need to be time-consuming. How to create and perfect your author platform. Where the great content exists on the Internet and how you can use it to further your brand within your niche. The importance of being social and discover applications that will make this task easy and fun. Tools that will enable you to track and measure your success so that you can better understand the return on investment of your valuable time. Which tools can prevent you from accessing the Internet when the time comes to sit and write that next book. Exercises for introverted writers to help them feel comfortable on the social web. 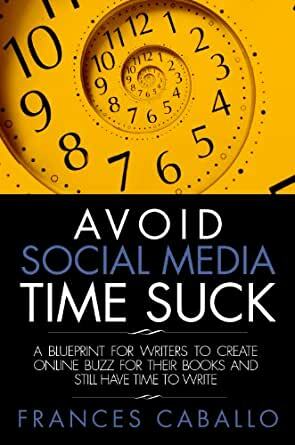 If you’ve been avoiding social media because you feel that you just don’t have enough time or if you’ve been using it sporadically and missing out on the opportunity to widen your audience of readers, then this is the book for you. An excellent resource. Helped me greatly. This was a great book for introducing me to the vast array of tools available to me for marketing my book. A great start as I start to develop my marketing campaign. I wish there were more targeted exercises for starting your campaign on a few of the recommended Social Media sites. Maybe an example start up campaign for each site and how to link them together? Maybe grist for the next book? If so I will be interested! Thanks for getting me started down the road. Next step is mine! One foot in front of the other! I am so glad I bought a print copy of this book. I have circled, underlined and dog-eared it. Tons of useful information in here, and it's well organized so I did not feel overwhelmed. Enough, but not too much. I was reluctant about committing the time to social media marketing. Caballo's book helped me find the right balance. As a writer I know If feel that sometimes I spend too much time browsing social media sites instead of writing. Frances Caballo offers some great tips on how to not let social media interfere with what you should be doing....writing! This book is packed with resources and ideas. Author has really done her research and offers so many tools and tips I couldn't even try them all. Great reference book. Full of great things even if you're not a writer!